The Sync E is the successor to the original Tentacle Sync. If you aren’t familiar with Tentacle Sync, it is a low-cost way of syncing timecode to cameras that don’t have the ability to jam timecode by themselves. 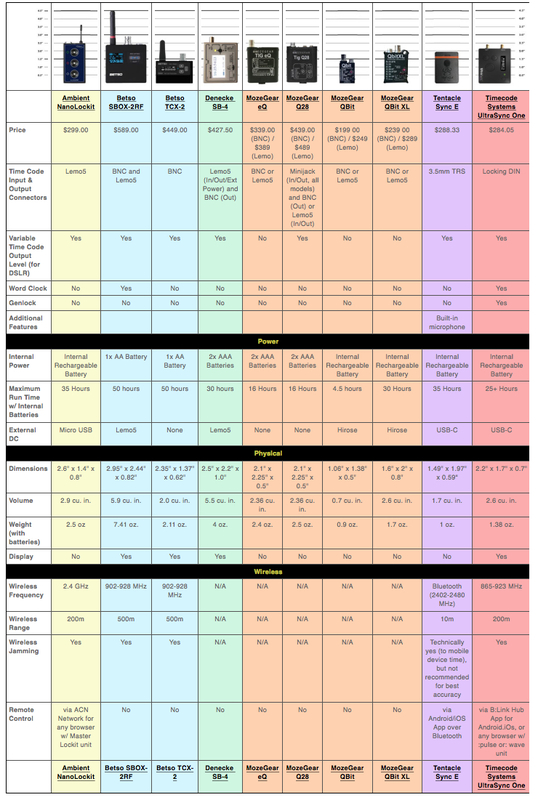 This is important if you are using DSLR or mirrorless cameras alongside more professional options in multicamera situations. In saying that the Tentacle Sync is also very capable of being used to sync timecode from cameras that do have timecode I/O as well. Syncing audio and vision from cameras that don’t have the ability to accept a timecode signal is a pain in the backside. Sure you can use a clapperboard or clap your hands just to get a reference point for an editor, but nothing beats having matched timecode from all of your cameras when you are working in multicamera scenarios, or when recording separate sound. 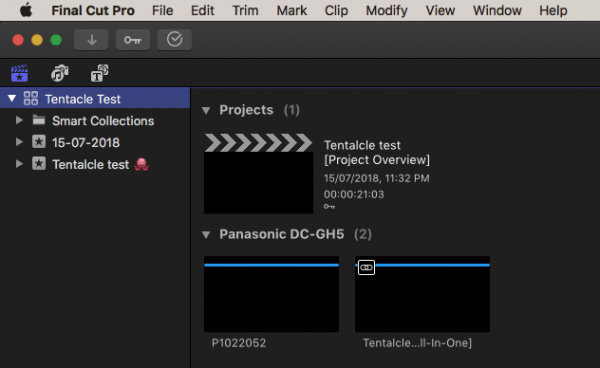 Tentacle Sync was amongst the first companies to recognize the need for making a completely stripped-down timecode generator that was accurate, small, lightweight, and easy to use. If you are going to use a timecode generator with a small DSLR or mirrorless camera then it should be small enough that it doesn’t get in the way when you are shooting. The original Tentacle Sync was 34 x 50 x 16 mm and weighed(30 g / 1 oz). Not only was it small, but it was easy to use and came with free timecode syncing software. Fast forward a few years and Tentacle Sync now has the Sync E. The Sync E builds on the same concept as the original Tentacle Sync but adds a host of new features. The company’s philosophy was that the Sync E had to remain as easy to use as the original, but it needed to be easier to monitor and make changes. 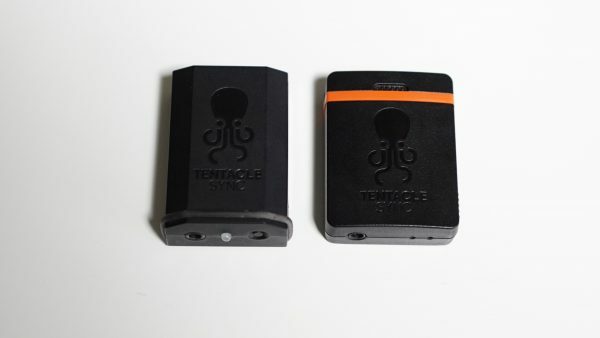 The original Tentacle Sync on the left and the new Tentacle Sync E on the right. So what’s new? First up the body has been redesigned and now looks a little more polished and professional compared to the original Tentacle Sync. Despite the redesign, it weighs exactly the same as the original version. The Sync E also gets Bluetooth connectivity built-in. This allows users to set up and then monitor their Sync E from a smartphone, tablet, or if you have very good eyes, an Apple Watch. 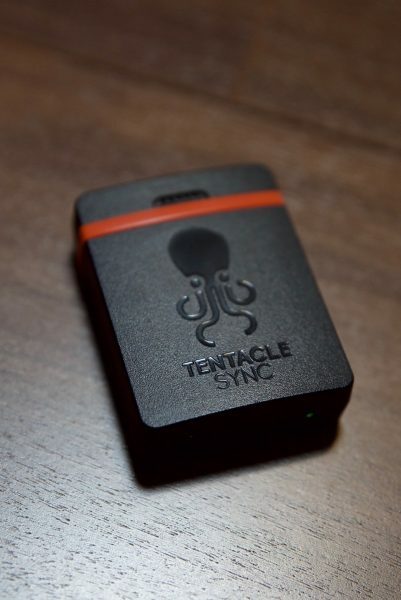 Just like the original Tentacle Sync, the Sync E doesn’t have a built-in display, so using the app is the only way you can easily set up and monitor your device. Bluetooth may seem like a bit of a strange choice given its limited range, but according to Tentacle Sync, Bluetooth is the most common and widely-used wireless technology which makes it a good option for a wide range of customers. With the previous Tentacle Sync you could hardwire the device to your iPhone, but then Apple went and changed the 3.5mm headphone jack to a Lightning connector. To avoid a problem like this occurring again I can see Tentacle Sync’s logic for making it Bluetooth. With the addition of Bluetooth, the Sync E’s battery life is 35 hours, which is 5 hours less than the original Tentacle Sync (40 hours). Just how well the Bluetooth connectivity works is something I will look at later on in the review. 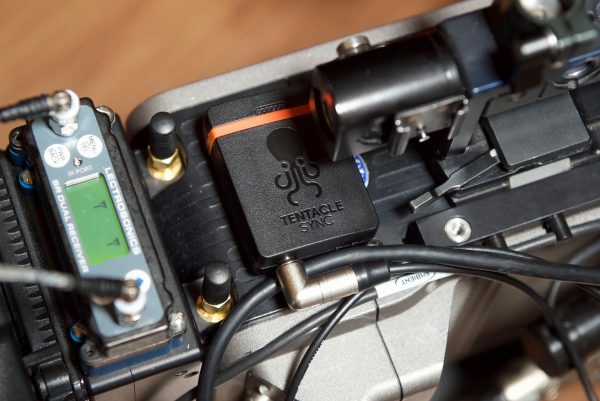 Tentacle Sync has also said that they have improved the algorithms to such an extent that the Tentacle setup app can tell you with frame accuracy how well your Octopodes are syncing. 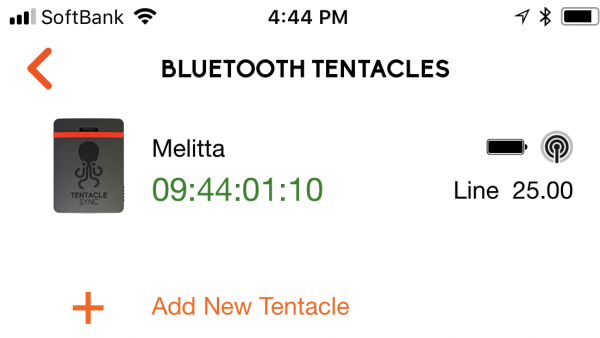 In a nice touch, every Tentacle acts as a master and broadcasts timecode independently via Bluetooth. In theory, this allows every mobile device to make use of this timecode, which in the future could make it possible for other devices or apps to sync up to this source. 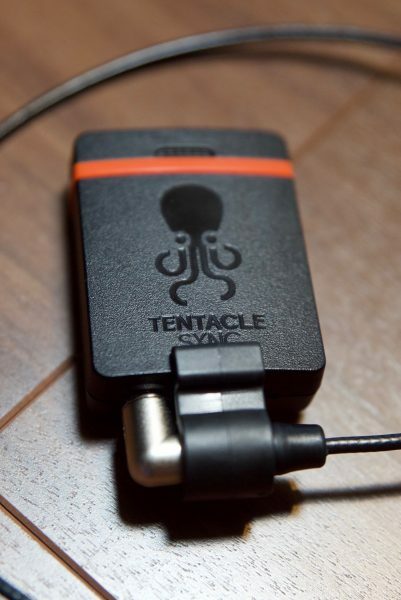 Just like on the original Tentacle Sync, the Sync E comes with a built-in ‘scratch’ mic. 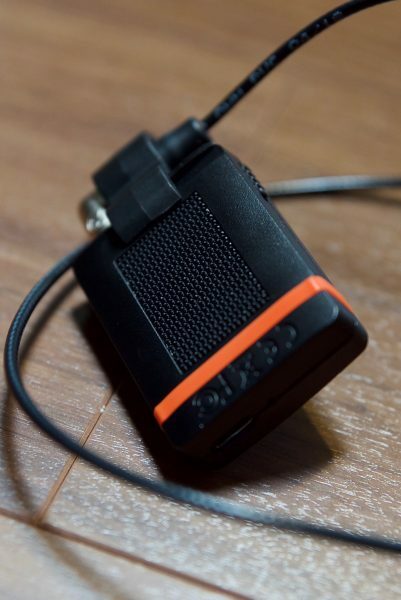 The reason it has a built-in mic is that once you connect timecode equipment to the mic input of a DSLR or mirrorless camera through the 3.5mm mic input it cuts off the cameras internal audio recording. 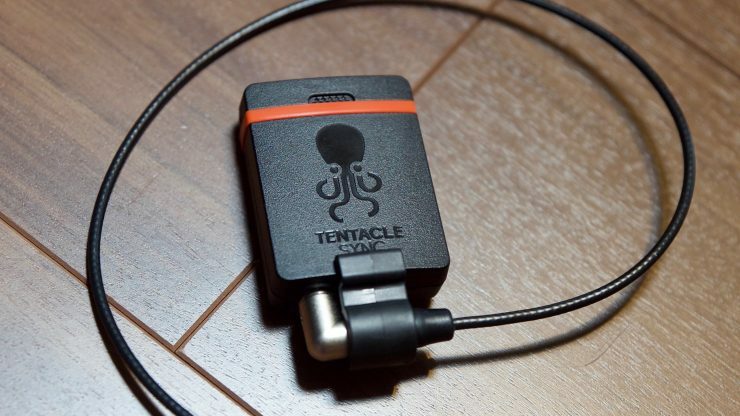 Tentacle Sync E is the only solution on the market which comes with a high-quality built-in ‘scratch’ mic. This lets you record both timecode and ambient sound simultaneously with one device. You can also use an optional 3.5mm splitter cable so you can still plug in an external third party microphone such as the RØDE VideoMic Pro. If you are using an optional XLR module or a camera like the C100 or Sony FS7, you can get a 3.5mm to XLR cable to input the timecode signal to your camera. 3.5mm jacks aren’t any more robust than an HDMI connector so you really need to make sure that they are secure. 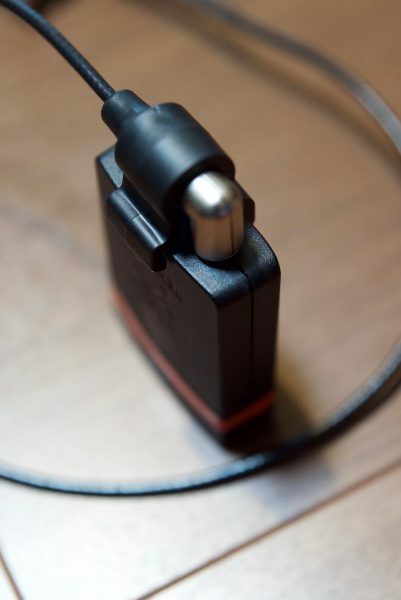 The Sync E comes with a lockable clamp that makes sure that the 3.5mm cable doesn’t come out of your devices. The Sync E is made out of a hard plastic material, and despite weighing in at just 30 g it feels solidly made. I doubt you would cause any damage to it even if it dropped on the ground from a few meters up. There’s only one physical switch on the unit to turn the power on/off and for generating timecode. 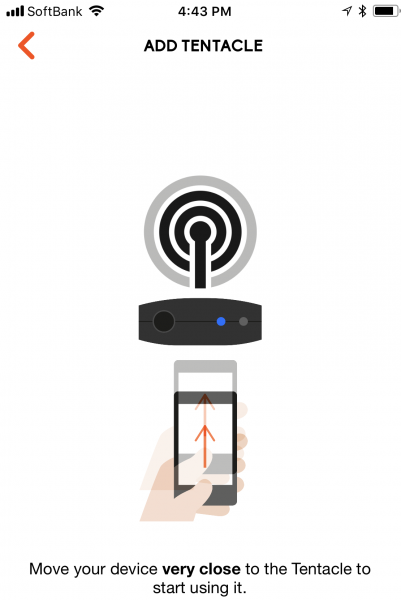 By not putting a screen or any other buttons on the Sync E, the company has chosen to go with a solution that is minimalistic in its approach. The new locking cable clamp is again a simple piece of hardened plastic but it has been really well designed and it certainly locks the 3.5mm cable firmly in place so it can’t come out. Again it’s a case of making something simple that just works. 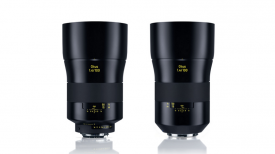 The Sync E has physical dimensions of 38 x 50 x 15 mm (1.49″ x 1.96″ x 0.59″) and weighs in at 30g/1oz. 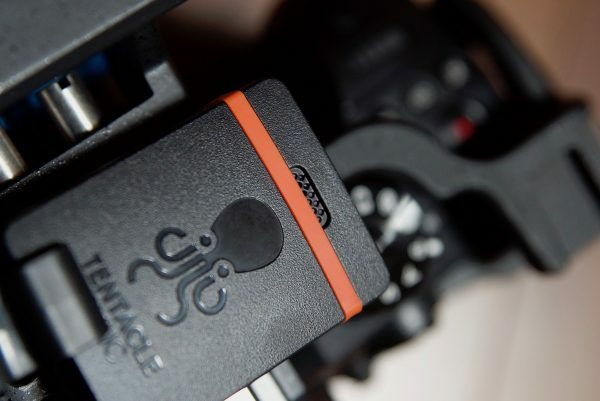 With this small physical footprint and low weight, the Sync E won’t get in your way or create unnecessary weight when attached to a camera or sound recorder. Like most small timecode sync devices, the Sync E doesn’t have any physical mounting points on its body. Instead, it has velcro on the back of it which can easily be attached to other velcro straps that are provided by Tentacle Sync. Due to the low weight and small size of the Sync E, even these small velcro straps hold the device securely. 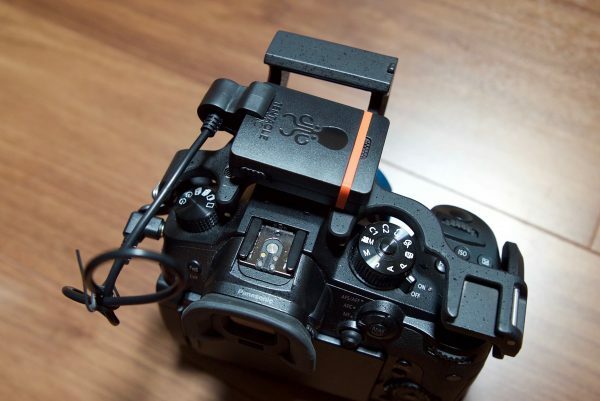 Because the cable is securely locked in with a clamp you can also just dangle it off the side of your camera if you prefer. Whether I would personally do this I’m not so sure, but I have seen quite a lot of camera operators use their Sync E in this way. If it was up to me I would prefer to have it securely mounted. The Sync E uses a built-in rechargeable and replaceable Lithium Polymer Battery that gives users up to 35 hours of continuous run time before it needs to be recharged. You can recharge your Sync E using the built-in USB-C port. The unit comes with a USB-C to full-size USB cable. I like that Tentacle Sync has made the battery replaceable. As we all know, batteries degrade over time and having the option to replace it means your device will last a lot longer than if the battery wasn’t replaceable. 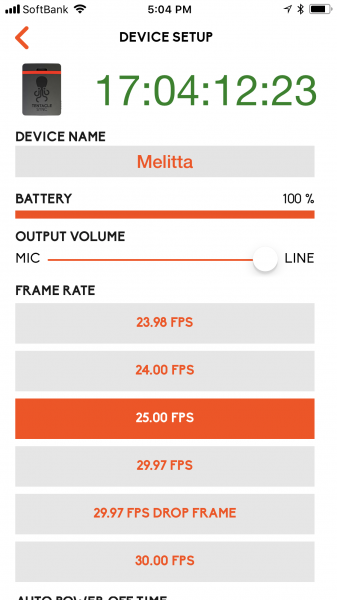 The Sync E has a claimed inaccuracy of less than 1 Frame within 24 Hours. This is fairly common for products such as this and in line with its closest competition. 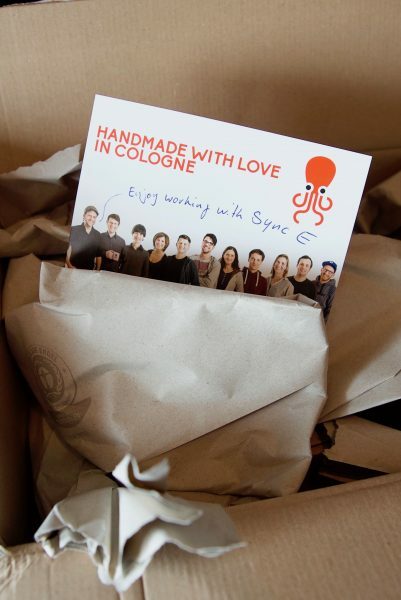 In a nice personal touch, when you open the box from Tentacle Sync you are greeted with a nice personal note. I may sound a bit old fashioned but I really like this additional attention to detail. It makes you feel like you are buying a product from a person and not a large corporation who just wants your money. You also get a printed out quick start guide. Again I really like when a company gives me a physical guide for a product. Too often these days you have to download a manual or go online to find out answers. Having a simple, small quick start guide means you can keep it with your equipment and reference it quickly if you forget how to do something. 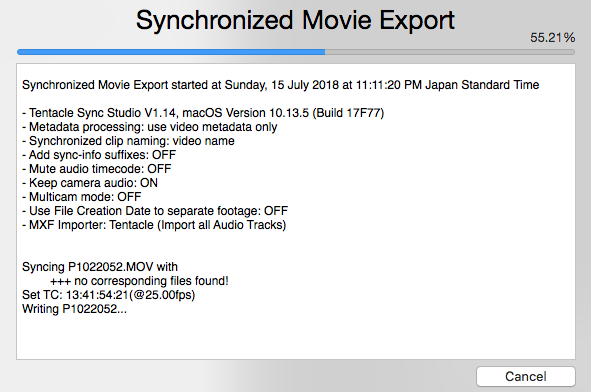 Just like the original Tentacle Sync, the Sync E comes with a copy of Tentacle Sync Studio (macOS) which enables you to sync your material if you are working with a camera that doesn’t have timecode I/O. It works with nearly any kind of timecode, even if you have used a competitor’s timecode technology. 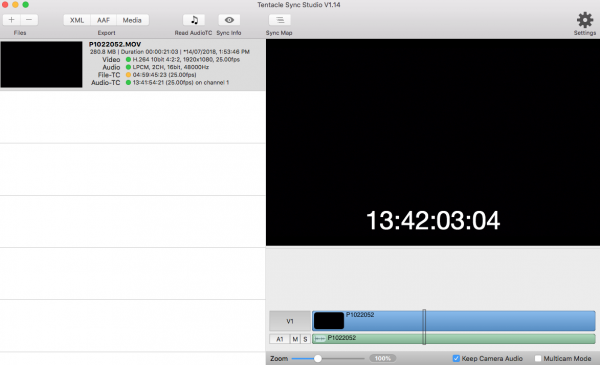 All you have to do is take your clips and Sync Studio will automatically synchronize video and audio via timecode. Now that we have found out all about Sync E, let’s try it out and see how easy it is to use and if it actually works as advertised. Timecode sync devices need to be straightforward and easy to use. Nobody wants to go through countless menus and combinations of pressing buttons to get up and running. For a Timecode Sync device to tick all of the boxes for me, it has to be simple, reliable and not get in my way. 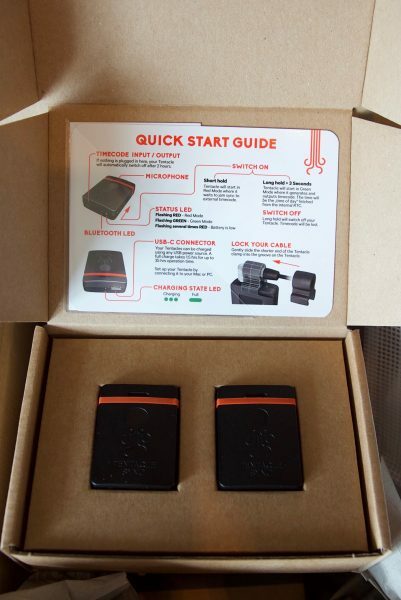 Initial setup is always going to take a bit longer and users should be prepared to read the manual (although the included Quickstart Guide covers a lot that you need to know. I did find that once I read the Quickstart guide I was able to get up and running fairly quickly. It is important to note that you really should be as familiar as possible with any timecode sync devices you own and know how to use them with your equipment. Trying to figure it out on a shoot just wastes time and there is nothing worse than having to tell a client you can’t roll yet because you are still trying to sort out a technical problem. The Bluetooth app is very responsive and there is no need to pair your smartphone or tablet with the Sync E. As long as your Bluetooth is turned on, you are ready to go. You do need to add a Sync E by holding your phone or tablet quite close to the unit. Once you do this you can make changes without having to be that close to the Sync E. Just how much distance the Bluetooth works over is really dependent on the environment you are in. I did, however, find that I could connect up and monitor the Sync E’s from quite a distance away. The nice thing is once everything is synced, you can get out of the app and go back in at any time without having to pair the devices again. As long as the Sync E devices stay on everything is fine. 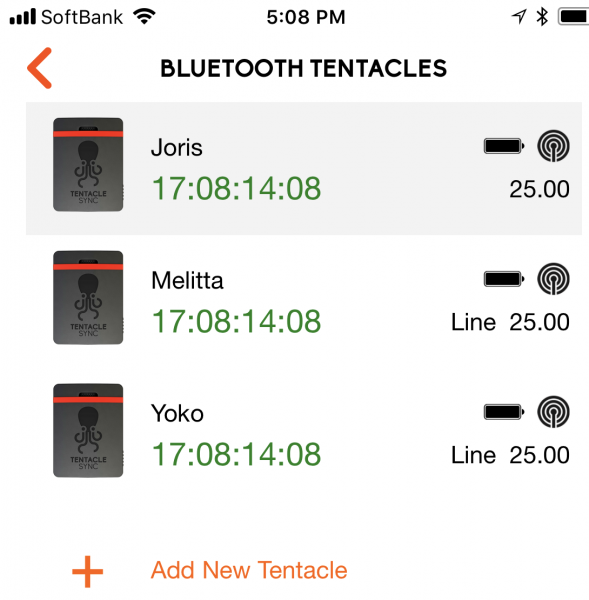 The Tentacle Setup App is straightforward to use and the instructions and interface and pretty easy to follow. As there are no displays on the Sync E devices it is imperative that the app works well and provides the user with the correct information. 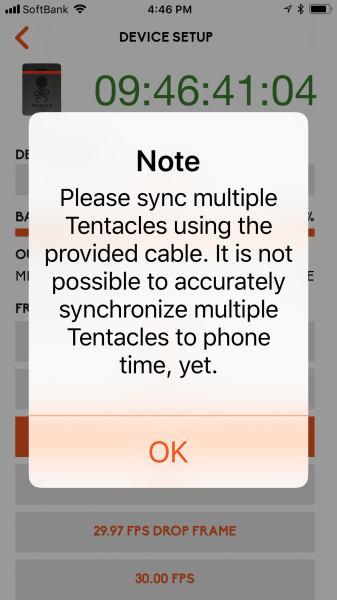 I like that the main screen of the Tentacle Setup App gives you very clear and concise information about your Sync E’s. You can instantly identify a problem if there is one. There is no need to make something overly complicated and I think tentacle Sync have done a good job with this App. There is a way to set the time of day directly from the time on your iPhone, but currently, that function isn’t working. The other slightly confusing thing for me was the fact that the individual Sync E’s have preset names, but because there is no display on the units themselves you really need to label each device so you know which one is which. A way around this is to use different color bands that come with the Tentacle Sync E and then re-name the individual devices with the color of the band. This makes it a lot easier to know which Tentacle Sync E is whic when you ae using the app. In all honesty, I would have preferred to have seen a screen on the Sync E. That way you have peace of mind that you can see the timecode and that everything is ok without the need for going into the app. Without a screen, you really do need to have faith that the Sync E is fine and there are no problems. I found that in my slight paranoia that I was continually checking the Tentacle Setup App when maybe I didn’t need to. I guess like using any new product, it takes some time to build up some trust and confidence that you don’t need to be continually checking it. To synchronize DSLR/Mirrorless or any other camera that doesn’t have timecode I/O using a Tentacle Sync E, the timecode is recorded to one of the camera’s audio tracks. This is known as AUX timecode. So what the Sync E is effectively doing is putting an audio signal onto one of the audio tracks of your camera. After you finished shooting this audio signal that contains the timecode you were outputting from the Sync E needs to be converted before you can see that timecode. That’s where Tentacle Sync Studio comes in. You get a free license with every Sync E purchase. The program is very easy to use and in just a few simple clicks you can export your material with the time code now embedded. The other alternative option is to use Avid or Davinci Resolve that both support AUX timecode natively. The whole process can be done fairly quickly (although this depends on how many clips you have and how long they are). The Tentacle Sync Studio brings up an easy to read window during the conversion process that gives you all the relative information. 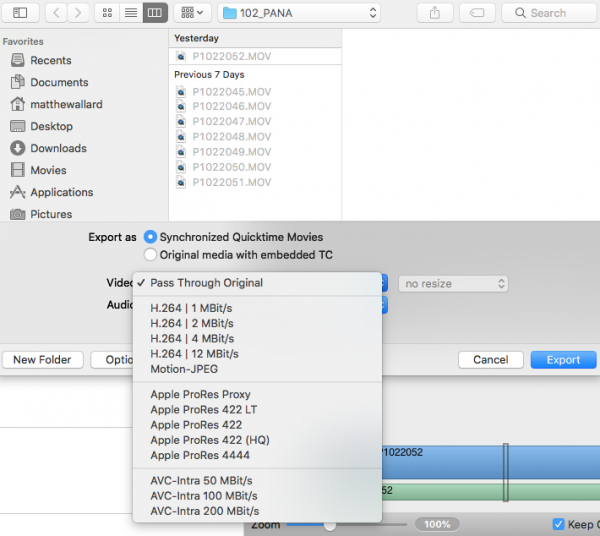 There are even options to transcode the material to different flavors of ProRes, AVC Intra, as well as low-resolution H.264 files. Of course, you can just choose to use the Pass-Through Original option which means you end up writing the same file with the newly embedded timecode back onto your original camera media card. You can also create XML and AAF files if you choose. In the case of XML files, you can create XML files for both Premiere Pro and FCPX. I tried this out with FCPX and if you select the Open In FCPX option the clips will convert and then open up straight within FCPX. Strangely it didn’t seem to have the converted timecode embedded with the clips. I’m not sure what I was doing wrong, but I couldn’t get it to work. 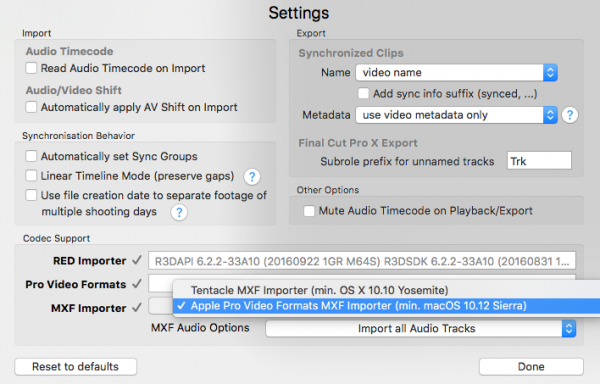 After a bit of trial and error, I realized I had to go into the settings and change the XML export from Tentacle Sync Importer to Apple Pro Video Formats MXF Importer. I guess I should have read the manual first! 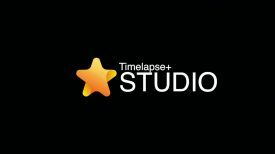 In another really nice touch, you can use Tentacle Sync Studio with nearly any kind of timecode, even if you have used a competitor’s timecode technology. I tried this out with material that was synced using a Timecode Systems UltraSync ONE and I found that the Tentacle Sync Studio was able to read and convert the files. You even get a cute little octopus icon. The problem with some timecode sync systems is you have to purchase software (if you don’t have access to Avid or Davinci Resolve) to convert material if you are working with DSLR/Mirrorless or other cameras that don’t have a timecode I/O. This is ok if you are doing all the conversions yourself or keeping things in-house but if you have to send or give your material straight to a client they may not want to spend money if they don’t have access to Avid or Davinci Resolve buying a program to convert your clips. Luckily Tentacle Sync offers a free 14-day trial license so you could easily get a client to download that so they could convert your clips without having to spend any additional money. As you can see both the UltraSync ONE and the Tentacle Sync E offer different forms of functionality and features. It’s hard to say which one is better than the other as it really depends on your needs for syncing timecode. While the UltraSync ONE has a display screen, the Tentacle Sync E has a built-in scratch mic. The UltraSync ONE has Mini DIN inputs, but you have to buy a Mini-DIN to 3.5mm cable for an additional £42.50 if you want to use it with a DSLR or Mirrorless camera. You then have to factor in the cost of the LTC Convert application (£89.00) if you don’t use Avid or Davinci Resolve. 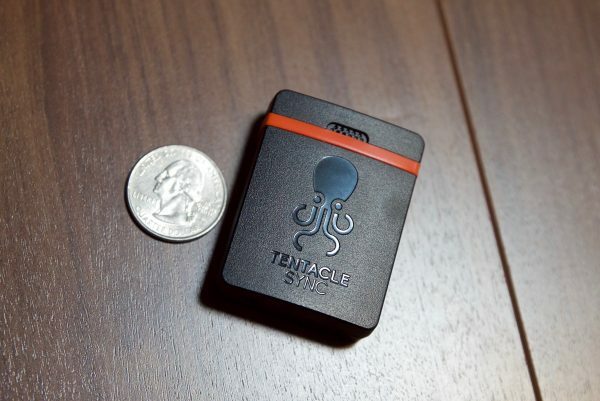 With the Tentacle Sync E that cable is included and the software is free. The UltraSync ONE uses a long-range RF network, rather than Bluetooth or 2.4GHz wifi to communicate timecode between master transmitting and receiving units, allowing for reliability over a wider area. 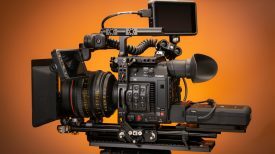 With two connectors on the unit, the UltraSync ONE offers not only timecode, but genlock and word clock as standard, as well as the option to alter the output levels to include DSLRs in your workflow. You also have the option to configure the unit to output LTC from both ports simultaneously. The UltraSync ONE can receive and retransmit external timecode, as well as generate its own. The Tentacle Sync E is a good option if you are looking for a small, lightweight timecode sync system that won’t break the bank. At (249.00 €/$290 USD) it is slightly cheaper than the more expensive Timecode Systems UltraSync ONE (£240 exc. VAT/ $317 USD). 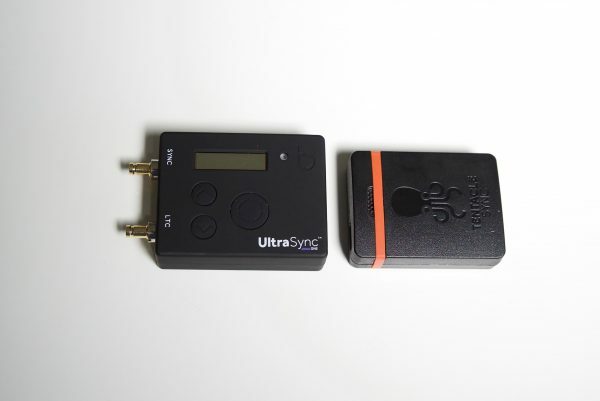 Timecode Systems does sell a twin pack of UltraSync ONES’s for £375 (exc. VAT) ($496 USD), which is slightly cheaper than the Tentacle Sync E Standard Set (449.00 €/$524 USD). If you are strictly needing to sync timecode to DSLR and Mirrorless cameras then the Tentacle Sync E makes a lot of sense, but if you are working on bigger productions in multi-camera scenarios and need to create a whole timecode sync ecosystem, then something like the UltraSync ONE in combination with a :pulse may be a better option. In saying that the Tentacle Sync E is a very capable timecode syncing system that is right at home when using it with anything from a DSLR/Mirrorless camera all the way up to professional sound recorders and on multicamera shoots. Despite its relatively low price, it has gained a strong reputation with a lot of sound recordists around the world. My only small gripe is I probably would have preferred to have seen a display screen, but maybe after using the product over a longer period of time, I may end up changing my mind about that. At the end of the day, it may not have all the bells and whistles of some of the competing products, but that’s the beauty of the Sync E. It’s minimalistic approach to dealing with timecode sync is what makes it special. It’s so small and compact that you almost forget it’s there and it stays out of your way when you are working. Whether you actually need any form of timecode sync system really depends on the type of work you do. If you are a solo operator and you occasionally just use a second camera such as a DSLR for an interview then you may well just find it easy enough to just do a simple clap for syncing purposes. If you are, however, working with a sound recordist who is recording audio separately to their mixer than having a dedicated timecode syncing system is a must. At the end of the day, a timecode sync product should be reliable, robust and keep out of your way. The Tentacle Sync E is just that, and that is pretty much all you can ask for in a timecode sync product. I really like the Tentacle Sync E and highly recommend it if you are thinking of buying a small timecode sync system.